Landing Expert Event - Why are video interviews so important? Why are video interviews so important? Most candidates today are familiar with online job applications and there is a general comfort level with the process of applying for a job online. In recent years there has been additional advancement in technology and it is now also becoming common place for some of the initial interview process to be conducted using video. This presentation helps candidates to prepare for video interviews. 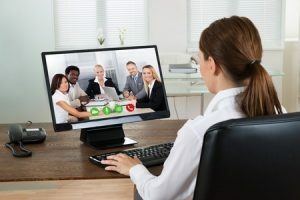 It discusses the different types of video interviews (with a human and with a machine) and provides tips that assist the candidate in presenting themselves in the best manner. What kind of money are you looking for? What will you do in the first 90 days after you are hired? How would you rate yourself from a 1 to 10? Learn about best posture, ideal body language and overall demeanor. Understand how to manage the lighting and background for your video interview. Determine best method for using a headset and/or audio needs. Learn general do’s and don’ts regarding wardrobe selection best suited for video. With video interview technology gaining in popularity by hiring companies it is important for candidates to have an understanding of what to expect so they can shine their best light on their achievements. This presentation addresses a multitude of tips and can help any candidate improve their video interview performance.